"Here Comes The Sun" song by The Beatles. The in-depth story behind the songs of The Beatles. Recording History. Songwriting History. Song Structure and Style. "I wasn't Lennon, or I wasn't McCartney. I was me. 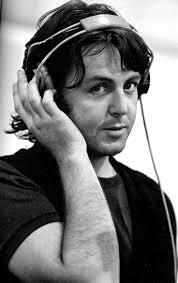 And the only reason I started to write songs was because I thought, 'Well, if they can write them, I can write them.'" 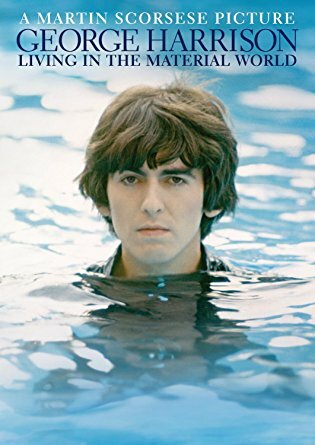 This 1969 interview with George Harrison by David Wigg explains in detail his experience as a songwriter for The Beatles. 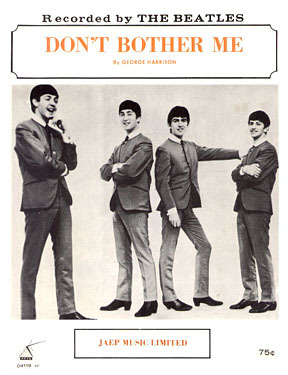 Apart from the song “Cry For A Shadow,” which was an instrumental that the early Beatles recorded in Hamburg, Germany in June of 1961 and credited as a “Lennon / Harrison” composition, George's first official contribution to The Beatles catalog was “Don't Bother Me,” released in Britain on the November 1969 album “With The Beatles.” It was certainly worthy to be included among the “Lennon / McCartney” numbers on that album, as well as the groundbreaking “Meet The Beatles!” album in the U.S., but much growth and maturity was soon to appear in his compositions as the years progressed. Of the twenty-three George Harrison songs that The Beatles officially released, “the masses” gradually began to respect them more and more, the simple reason being that 'practice makes perfect.' 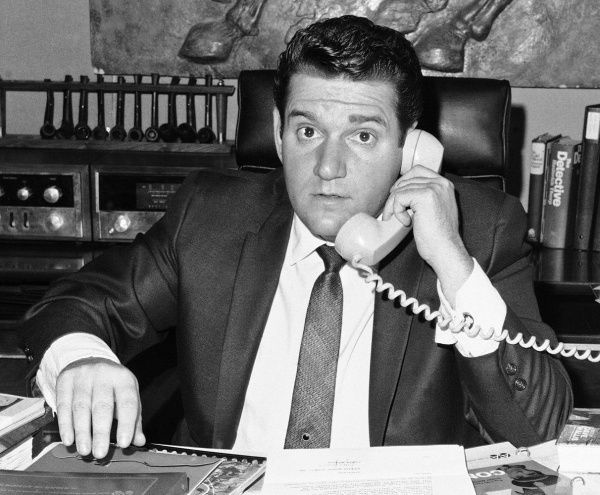 Some songs that he introduced to the group, such as “You Know What To Do,” “Not Guilty,” “All Things Must Pass” and “Hear Me Lord,” got passed over by the other Beatles and were never released, some not considered for even a moment as being good enough. 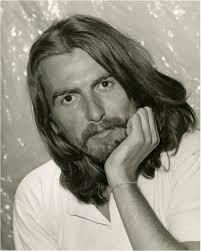 George, however, persisted and improved in his songwriting skill. The last song he ever offered for the group to record, the above mentioned masterpiece “Here Comes The Sun,” reveals a successful solo recording artist in the making. 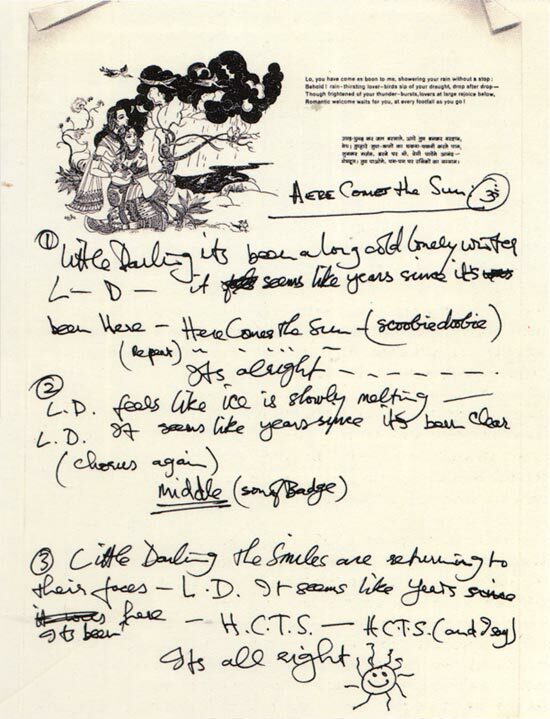 George Harrison's handwritten lyrics for "Here Comes The Sun"
In his 1979 book "I Me Mine," George explains in detail the writing of the song. "'Here Comes The Sun' was written at the time when Apple was getting like school, where we had to go and be businessmen: 'Sign this' and 'sign that.' Anyway, it seems as if winter in England goes on forever; by the time spring comes you really deserve it. So one day I decided I was going to sag off Apple and I went over to Eric Clapton's house. The relief of not having to go and see all those dopey accountants was wonderful, and I walked around the garden with one of Eric's acoustic guitars and wrote 'Here Comes The Sun.'" 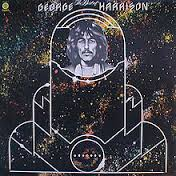 Other than “Badge” and The Byrds' song “The Bells Of Rhymney,” George's inspiration was also thought to have come from other sources. 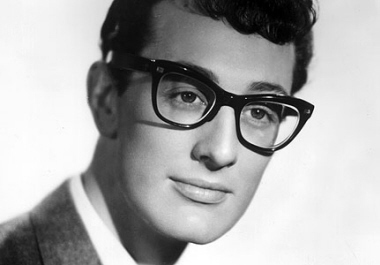 “It reminds me of Buddy Holly, in a way,” John Lennon stated at the time. “This song is just the way he's progressing, you know. He's writing all kinds of songs and once the door opens, the floodgates open.” John himself may have been an inspiration for the song, if only subconsciously. 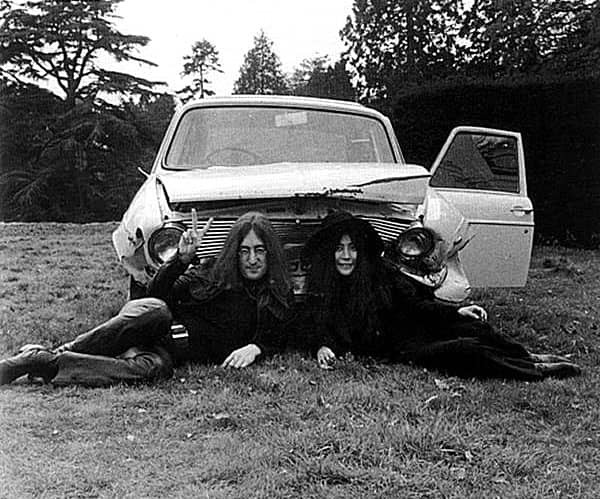 When John was developing his song "Sun King" during the January 1969 sessions that evolved into the "Let It Be" film and album, he would sing the words "here comes the sun" while playing it on guitar. George may have had this in the back of his mind when in Eric Clapton's garden on that day in April. In addition, the unusual time changes heard various times in the song could also be attributed to his recent love for Indian music. 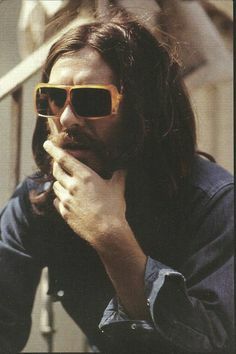 "I finished it later when I was on holiday in Sardinia," George stated in interview, this vacation occuring in June of 1969 according to Bruce Spizer's book “The Beatles On Apple Records.” Having written the finished lyrics on stationary with letterhead that included a Hindu drawing and spiritual writings, George described what would be his “doot-n-doo-doo” singing in the refrain as “scoobie doobie.” To identify his intricate guitar work in the bridge, he humorously wrote “son of Badge” as a reminder of the “Badge”-like guitar work that would go there. Since data from the London area show the month of April in 1969 as setting the record for most sunlight hours for all of the 1960's, and that February and March were unusually cold, “Here Comes The Sun” appears to have been written by George between April and June of 1969. “A long cold lonely winter” had indeed just ended at that time! It may have been George's recent custom to sit down in EMI Studios and record demos for the compositions he was offering for The Beatles but, in this case, he did not. However, a simple acoustic guitar instrumental demo has surfaced which apparently had been recorded in George's "Kinfauns" home. He hadn't quite perfected all of the intricate parts yet, which were played high up on the neck of his guitar using a capo, but he was close. And it sounded beautiful! 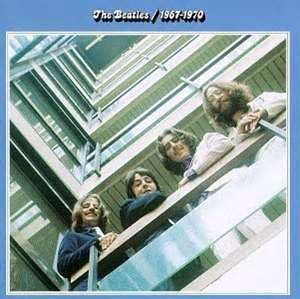 Having decided to record one final Beatles album, the group began these sessions on July 1st, 1969. 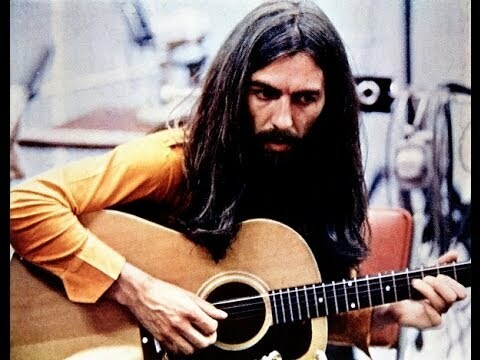 One week into these sessions, on July 7th, 1969, George brought in “Here Comes The Sun” as his second contribution for the album, his “Something” having already been started. They entered EMI Studio Two on this day at 2:30 pm to focus entirely on George's new song, although only three Beatles were present because of John's recuperating from his recent car accident in Scotland. 'Take 13' was deemed the best, over which George decided to re-record his acoustic guitar to get it to more of a perfected state, attempts at this overdub taking up the last hour of the session. By 11:45 pm, the recording session was over. On the following day, July 8th, 1969, more attention was given to “Here Comes The Sun,” them entering EMI Studio Two again at 2:30 pm. The focus on this day was vocals, both lead and harmonies. George first overdubbed his lead vocals, wiping out the guide vocals that he supplied on a separate track the previous day. 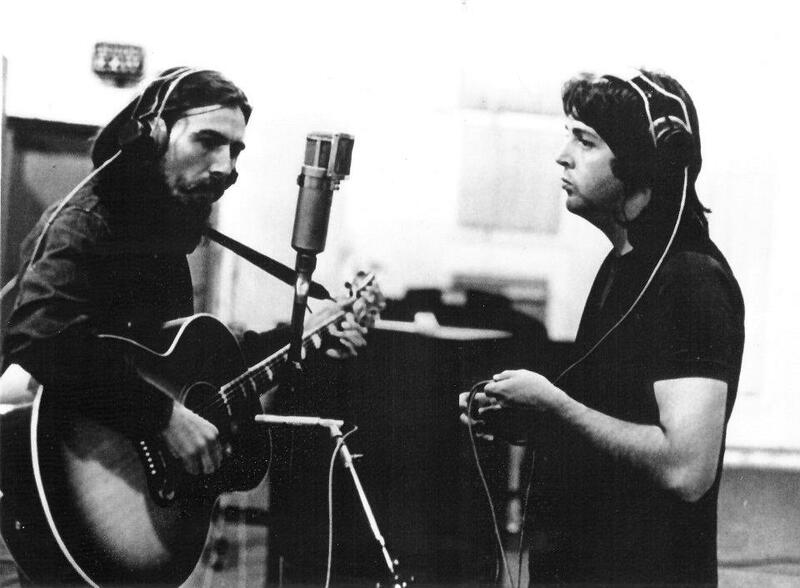 This having been done, George and Paul supplied the harmonized backing vocals for the song and then, since it was just the two of them without John, double-tracking them to make the harmonies sound fuller. This filled up all eight tracks of the tape which meant that a reduction mix needed to be made to open up more tracks for future overdubs. Two attempts at the reduction mix was made, which resulted in the second attempt, signified as 'take 15,' to be the master thus far. 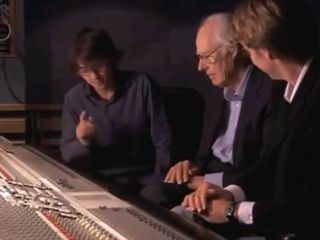 The session was complete at 10:45 pm but they spent the next half-hour in the control room while the engineering team prepared a rough mono mix for George to take home and examine, this mix being made by producer George Martin and engineers Phil McDonald and John Kurlander. This would help him determine what else he wanted to add to the song. At 11:15 pm, everyone had left for the night. Just over a week later, on July 16th, 1969, The Beatles returned to “Here Comes The Sun” for more overdub work in EMI Studio Three, this session beginning at 2:30 pm. The first thing that George decided was needed in the song was a round of intricate hand-clapping, which he took the time to instruct them on. Engineer Alan Parsons, in an interview with author Andy Babiuk in 1998, remembers how it took a long time for them to get it right. 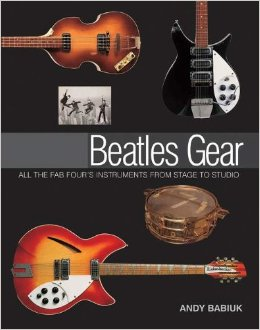 In the book “Beatles Gear” he relates: “(Producer) Glyn Johns was out there trying to do it – and he dropped out because he kept screwing up.” Interestingly, even though John Lennon had recovered from his accident and had returned to recording sessions by this time, studio documentation intimates that he was either not present on this day or declined to participate. While work progressed on various other songs for the album, “Here Comes The Sun” took a back seat for over a couple weeks. 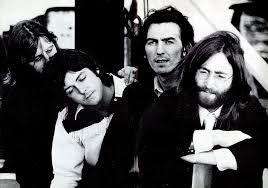 George knew he wanted to add more to the song but wasn't sure what. 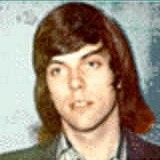 Therefore, on August 4th, 1969, after the group recorded their beautiful three-part harmonies for the song “Because,” George ducked into the control room of EMI Studio Three at 7:15 pm with engineers Phil McDonald and Alan Parsons to create a stereo mix of the song, as well as “Something,” for him to examine and determine what could be added. At 8:45 pm both stereo mixes were done, documentation showing this mixes as being “produced” by George. 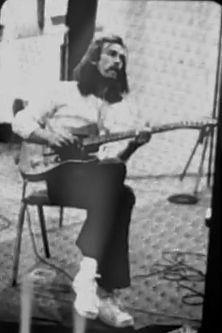 Within the next two days, George decided first of all that more guitar work was needed for “Here Comes The Sun.” Therefore, on August 6th, 1969, George entered EMI Studio Three at 2:30 pm to perform this overdub while, simultaneously in EMI Studio Two, Paul was adding overdubs to his song “Maxwell's Silver Hammer,” playing George's Moog synthesizer. 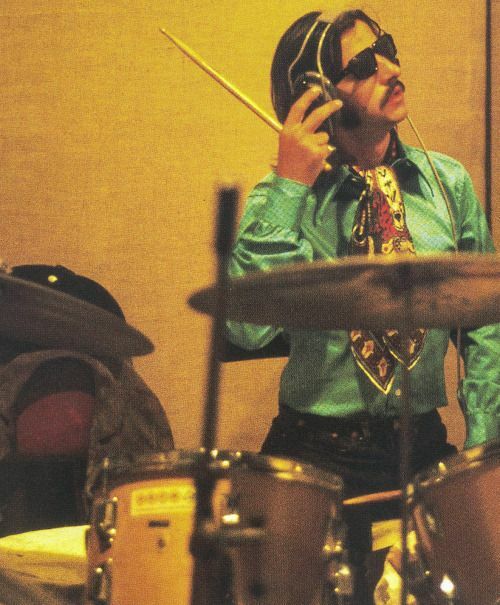 Engineer Tony Clark, in the book “The Beatles Recording Sessions,” explains: “They kept two studios running and I would be asked to sit in Studio Two or Three – usually Three – just to be there, at The Beatles' beck and call, whenever someone wanted to come in and do an overdub. 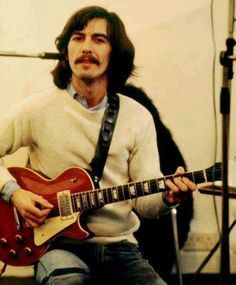 At this stage of the album I don't think I saw the four of them together.” This guitar overdub session, with George playing his Rosewood Fender Telecaster through a rotating B3 speaker, ran from 2:30 to 11 pm. Interestingly, this overdub included a lead guitar solo that was recorded onto the mostly-instrumental bridge section of the song, this later being decided as not suitable for the released version. George later decided to fill this section with other instrumentation, as we'll see below, but this guitar solo was never recorded over and was left on the master eight-track tape. 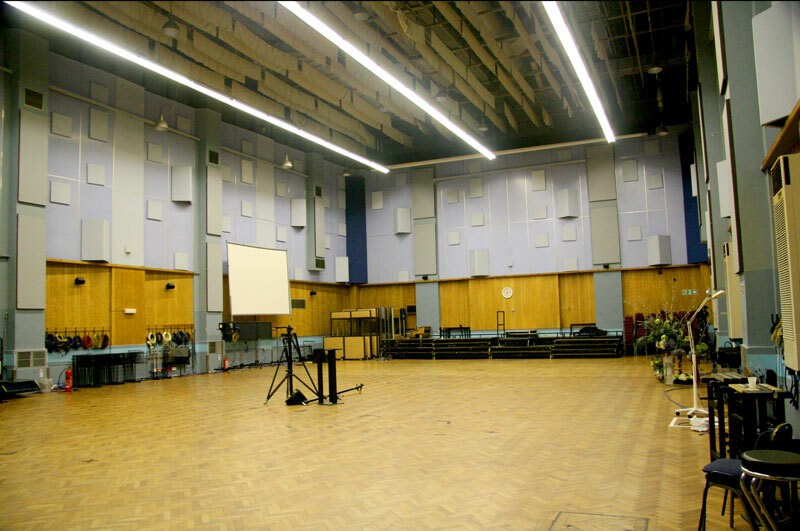 During a visit to what is now called "Abbey Road Studios" (formerly EMI) in 2012, producers George and Giles Martin, along with George Harrison's son Dhani Harrison, discovered this lost solo while listening to the original eight-track master of the song. 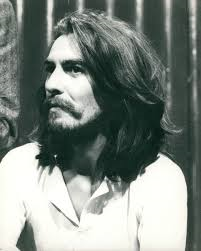 George still thought more guitar work should be added to the song, so on August 11th, 1969, with the deadline for the finished album getting ever more closer, he performed yet more guitar overdubs. The Beatles entered EMI Studio Two at the usual 2:30 pm and, after putting more overdubs onto “I Want You (She's So Heavy)” and “Oh! 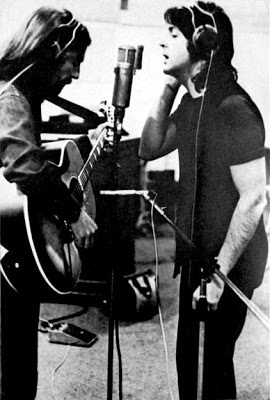 Darling,” George went to work on these guitar overdubs for “Here Comes The Sun.” After more control room work was performed, this session ended at 11:30 pm. 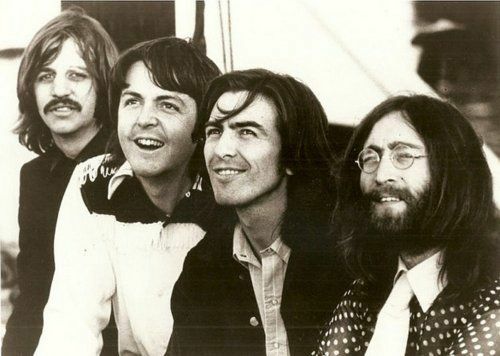 George, however, was very proud of both of his contributions to “Abbey Road.” So much so, in fact, that he labored over the arrangement and production so as to perfect both songs, possibly with the knowledge that this was going to be The Beatles final album and therefore wanting to make a good impression. With this in mind, George decided to add an orchestral score to both songs. 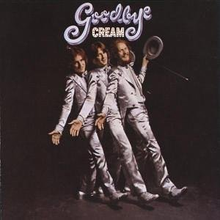 Three other songs on the album were requiring an orchestra as well so, for economical reasons, the classically-trained musicians recorded their performances on all of these songs on one day, August 15th, 1969. 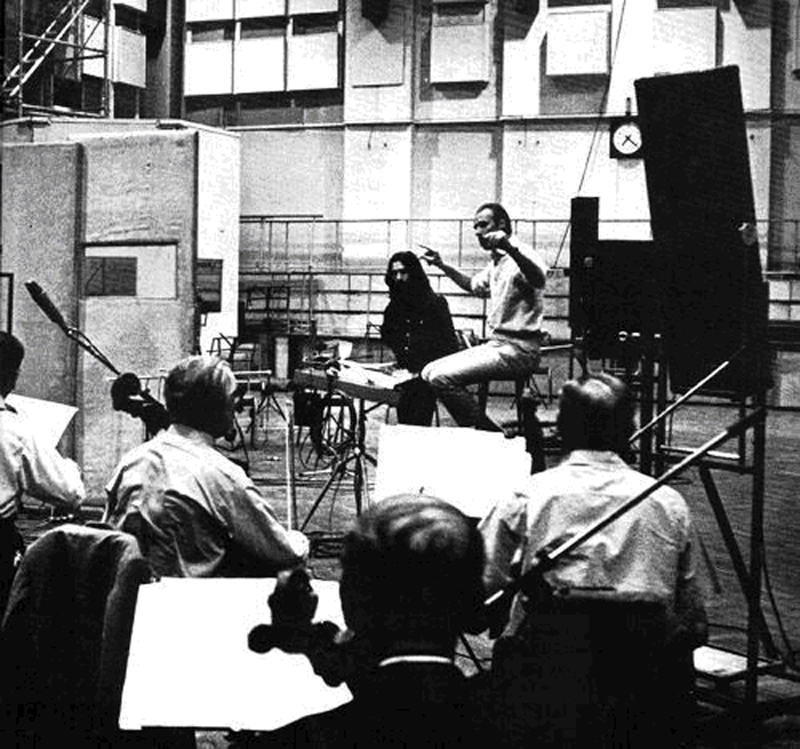 As outlined in the “Recording History” of the song “Something,” the orchestra was set up in the larger EMI Studio One while the performance was being recorded onto the eight-track recording console in EMI Studio Two, both studios being linked together via recording lines being run, close-circuit television, and walkie-talkies. This synthesizer overdub was performed in EMI Studio Two on this day, the session beginning at 2 pm. This was primarily intended as a stereo mixing session for the album. However, since George insisted on adding this final overdub, it was done in the early morning hours of the following day, this session being a rather long one to facilitate the deadline for the finished album being very near. 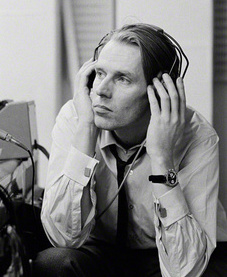 Immediately after the synthesizer overdubs were complete, the one and only stereo mix of the song was performed by George Martin and engineers Geoff Emerick, Phil McDonald and Alan Parsons. 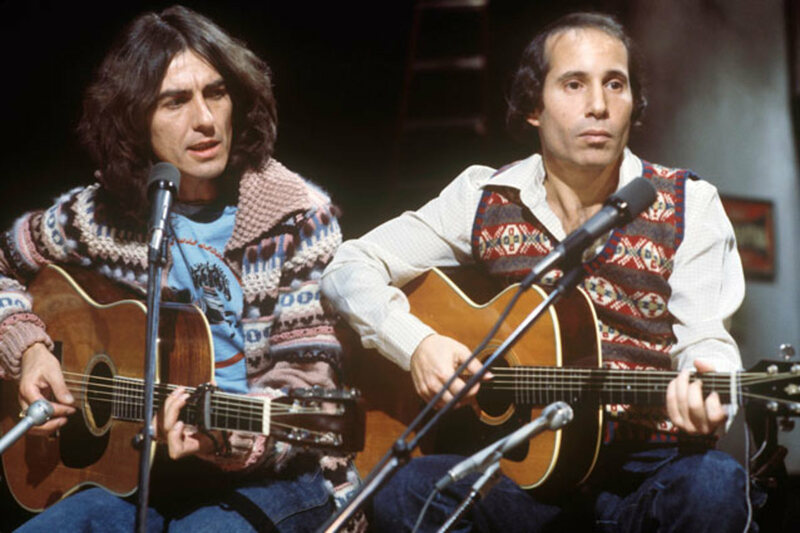 The orchestral overdub was mixed at a somewhat low volume and George's guitar solo in the bridge was omitted entirely from the mix. 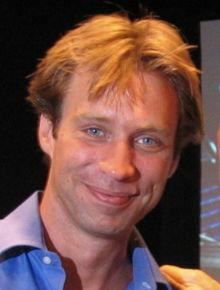 Sometime between 2004 and 2006, George and Giles Martin returned to the master recording of the song to create an innovative mash-up entitled “Here Comes The Sun (with 'The Inner Light' transition)” for the Cirque du Soleil production as well as the resulting album “Love.” The entire “Here Comes The Sun” is heard in an amazing digitally remixed state, including the small phrase “and I say” from the final verse which was mixed out of the original version, with elements of “The Inner Light,” “Oh! Darling,” “Within You Without You” and “I Want You (She's So Heavy)” mixed in as well. 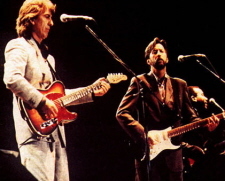 The second live version was recorded sometime between December 1st and 17th, 1991, during George's brief tour of Japan, the results appearing on the release “Live In Japan.” His band featured Eric Clapton, Ray Cooper and various other musicians and vocalists. The structure of "Here Comes The Sun" consists of 'verse (instrumental)/ refrain/ verse/ refrain/ verse/ refrain/ bridge/ verse/ refrain/ refrain/ conclusion' (or abababcabbd). The first instrumental verse acts as an introduciton while the final conclusion is an acoustic guitar instrumental sub-section of the bridge. The instrumental verse is first heard, this being eight measures long as all of the verses are. George's double-tracked acoustic guitar comprises the first four measures, the downbeat to the first measure not being heard but only implied. 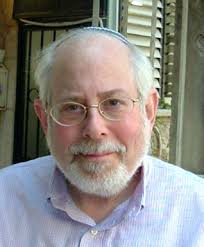 The first actual beat of the song heard on the recording is the second beat of the first measure. George's overdubbed synthesizer appears in measures five through eight, this instrument playing a single-note melody line as heard within the acoustic guitar intro. 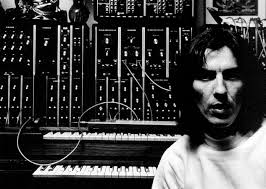 The final note of the synthesizer descends, accomplished by George using the ribbon controller as mentioned above, in the eighth measure as the guitars momentarily disappear for good effect. Gentle tapping from George on his acoustic guitar parses out the rest of the beats for the eighth measure. The first refrain is then heard which, when listened to carefully, can actually be measured out to be seven full measures in 4/4 time even though measures six and seven are laid out as four triplets followed by a straight measure of 2/4. 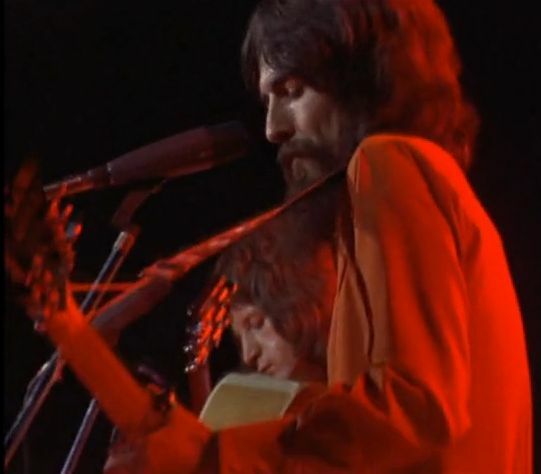 Instrumentally, George's vocals and double-tracked acoustic guitars fill the first five measures along with the first appearance of the string section. 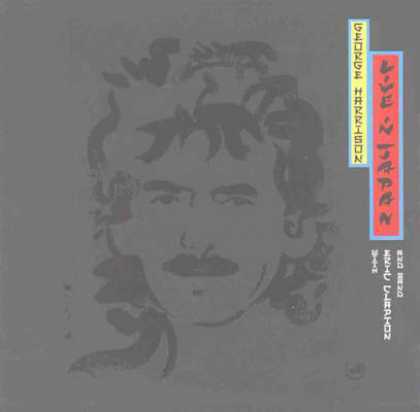 The second “here comes the sun” phrase, as well as “it's all right,” is joined by George and Paul's double-tracked backing vocals, this appearing in measures three through five. When the intricate triplet guitar figure appears in the sixth measure, the vocals disappear while the drums and bass kick in for the first time to round out the verse while the strings accentuate the melody line played by the guitars. Ringo's strategically played drum fill during this section ends with a cymbal crash on the downbeat of the first vocal verse that appears next. This is actually the second verse, which continues George's lead vocal work that is harmonized by Paul and himself both times that the phrase “little darling” is heard, these being in the first and fifth measures. 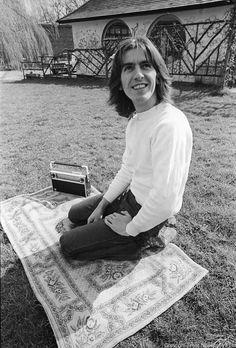 George continues his beautiful acoustic guitar playing while a subtle harmonium overdub can faintly be detected. Ringo plods away nicely with a simple drum pattern focused on the closed hi-hat while Paul plays a simple but appropriate figure on bass. The strings follow along nicely through all of these measures to act as a pad to fill out the sound. Then comes the second refrain which, this time, includes the full instrumentation as heard in the verse that precedes it. Both “here comes the sun” phrases, as well as “it's all right,” are now sung with backing harmonies. A briefly heard injection of synthesizer can be detected in measure two during the “doot-n-doo-doo” vocal line. One difference with this refrain is that it contains an extra measure that acts as a transition to the verse that follows it, making this refrain a full eight measures long. This extra measure continues the same instrumentation but allows Ringo to inject an additional drum fill in measure eight to lead into the next verse. The third verse and fourth refrain comes next, both of which essentially consist of the same instrumentation and vocal elements as heard previously. One addition here, however, is the synthesizer playing along with George's vocal melody line, this trailing off in a descending fashion in the eighth measure, not unlike what was heard in the instrumental first verse. The synthesizer also continues to be heard playing the intricate triplet melody line in the latter measures of the refrain that follows. The second addition being an electric guitar being played on top of the “doot-n-doo-doo” in the second measure of the refrain, this trailing off into the third measure thereafter. One interesting feature of this third refrain is how it concludes. 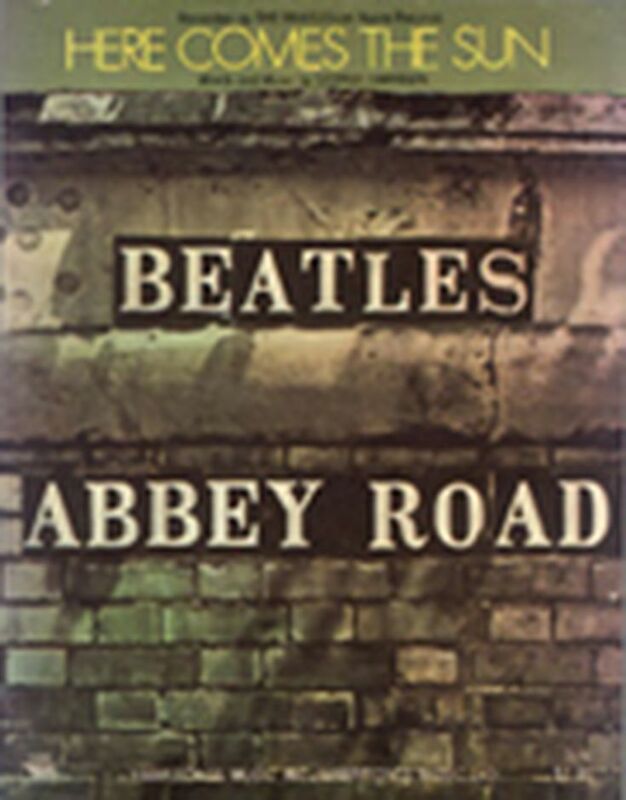 Considering what George described to Ringo as a “seven-and-a-half time” song, as mentioned above, the guitar figure that encompasses the bridge that follows this refrain begins this strange time signature. Therefore, half of the final beat of the eighth measure of this refrain appears to be chopped off, this making the final measure of this refrain to be in 7/8 time. First to be heard, though are two accent beats from all of the instruments in that 7/8 measure. 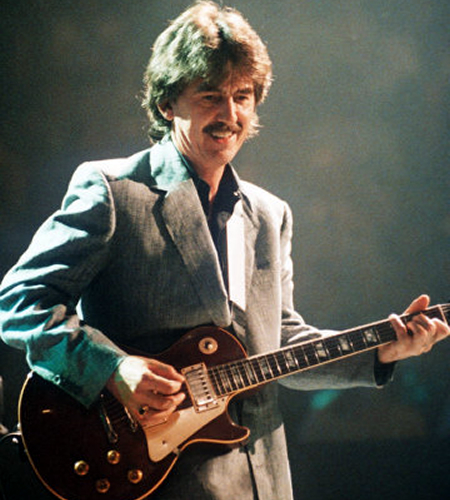 These accent beats are then followed by the first three notes of George's complicated guitar figure that continue into the bridge that follows. 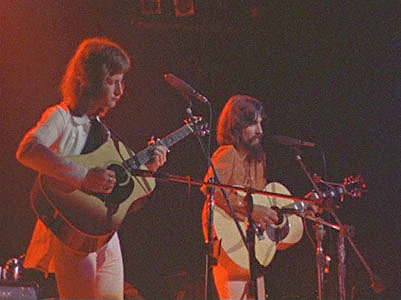 The first of the three-measure sets consist of George on double-tracked acoustic guitar, Paul on bass and Ringo on drums, he playing a slight drum fill at the end followed by three beats on top of the repeat of George's first three guitar notes in anticipation of the second three-measure set. This second set is then joined by double-tracked harmonies from George and Paul singing “sun, sun, sun, here it comes,” this appearing during the second 11/8 measure of the bridge. The 7/8 measure of this second set brings in a low-toned synthesizer sound which continues for the rest of the bridge while raising by an octave with each successive three-measure set. This third three-measure set brings in the intricate hand-clapping overdub mentioned above as well as the orchestra which is somewhat low in the mix. As this bridge reaches a crescendo during its sixth three-measure set, the final three 4/4 measures continue the same instrumentation, including a tricky hand-clapping pattern. Also, high pitched synthesizer notes mimic George's ending guitar phrases that act as a transition to the verse that follows. 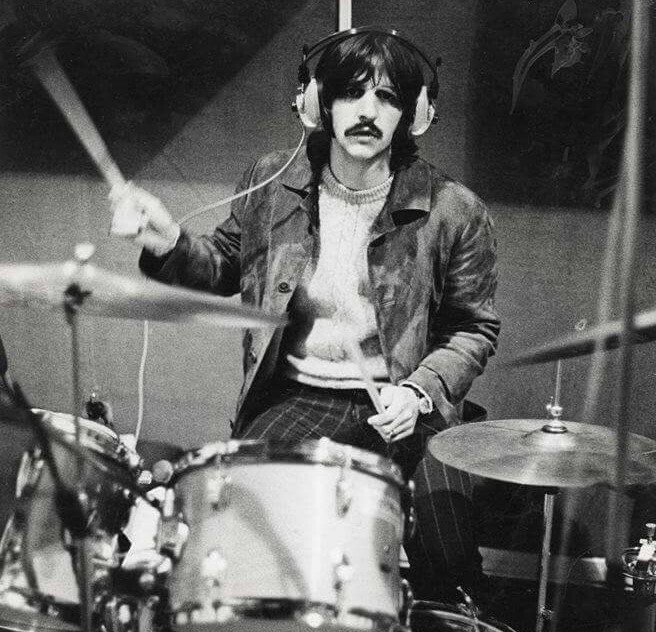 Possibly somewhat confused by the whole process, Ringo adds drum fills at the end of measures eighteen and twenty and not in the final twenty-first measure where it would be expected to appear. Nonetheless, it all worked together very impressively! After the dust settles from this climactic bridge, we settle down nicely into the final verse, which is essentially identical to previous verses with the addition of a gentle and soothing counter-melody from George on synthesizer. This is followed by a twice repeated refrain to end the song, the synthesizer counter-melody line continuing nicely as the orchestra provides a beautiful backdrop. The last refrain is actually extended to ten measures due to a repeat of the final two measures of the refrain that contain George's guitar figure. This happens just after all vocalists repeat one last “it's all right” in the eighth measure with George appropriately dipping the final word in anticipation of the repeated guitar phrase. As Ringo's final cymbal crash rings out and the majority of the other instruments fade away, George once again repeats the 11/8 measure guitar phrase from the bridge to act as the song's conclusion with only a simple synthesizer note accompanying the final gorgeous guitar strum. Thus ends the George Harrison songwriting era within The Beatles. This brilliant composition and production was due to George Harrison being finally given free reign and studio time to fully articulate his thoughts and present himself satisfactorily. 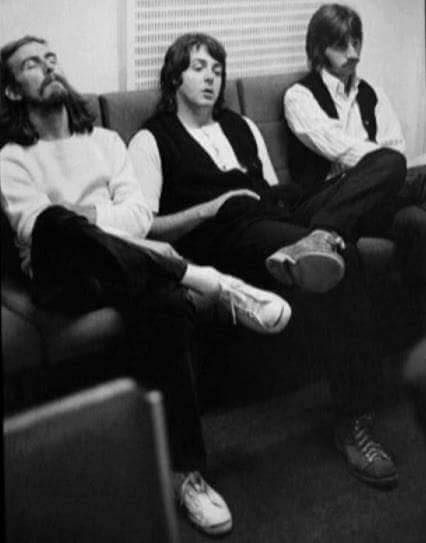 Paul did well in taking a backseat as an instrumentalist and arranger to let George take the lead, instructing Paul and Ringo in the intricacies of what he had in mind, undoubtedly allowing George Martin to put his two cents in at times to turn his song into a magnificent presentation. 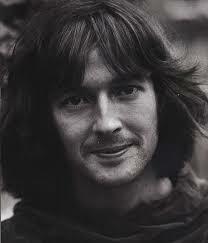 Harrison's guitar work is stellar and well thought-out, along with his finishing touches on Moog synthesizer. Ringo's predominantly flawless performance was due to his painstaking study of what George wanted, and Paul cooperated appropriately on backing vocals and suitable bass playing that wasn't too gaudy. 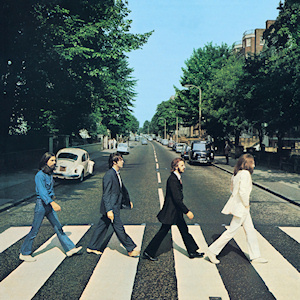 On October 1st, 1969, the final recorded Beatles album was released in America, simply titled "Abbey Road." "Here Comes The Sun" had the prestigious honor of being the opening track of side two, which was very well deserved considering its upbeat feel and commercial appeal. The album took only three weeks to jump into the top spot on the Billboard album chart, raking in a total of eleven weeks in the #1 position. The album first appeared on compact disc on October 10th, 1987, and then as a re-mastered release on September 9th, 2009. The next official release of the song was on April 2nd, 1973, on the second of two double-compilation albums released on that day, namely “The Beatles / 1967-1970” (aka, the “Blue Album”). 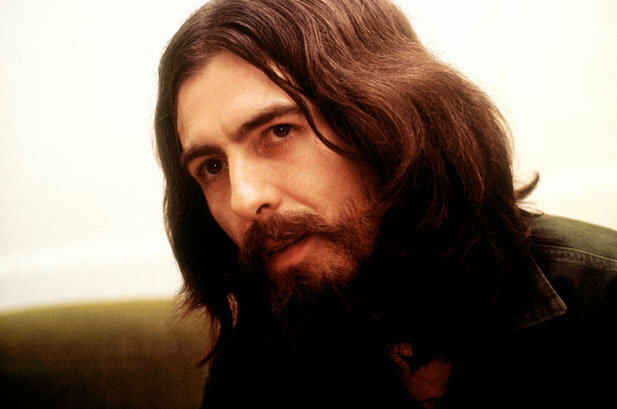 “Here Comes The Sun” was featured as the opening track on side four, with George's equally respected track “Something” as track number three, showing that his songwriting skills had flourished as The Beatles' career was dying down. This #1 album was first released on compact disc on September 20th, 1993 and then as a re-mastered re-release on August 10th, 2010. Interestingly, in the mid 1970's, all four individual Beatles had solo “Greatest Hits” albums released, but only one of them dipped into their contribution to The Beatles catalog. 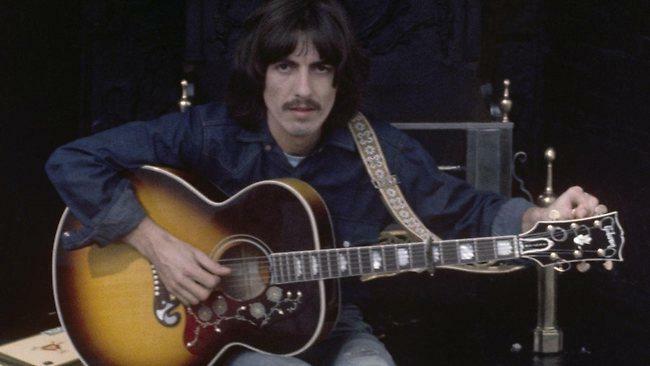 “The Best Of George Harrison,” which was released on November 8th, 1976, contained seven Harrison-penned Beatles songs on side one and six solo compositions on side two. 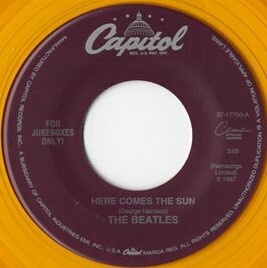 “Here Comes The Sun” appeared as the third track on side one, this song being an obvious choice for such a representation of George's accomplishments within The Beatles. The album peaked at #31 on the Billboard album chart and was released on CD in 1987. In July of 1982, Capitol/Evatone released a flexi-disc which paired “Here Comes The Sun” with the song “Magical Mystery Tour” to be given away with every Capitol Beatles album that was purchased at either “Sam Goody” “Discount” or “Musicland” record stores. 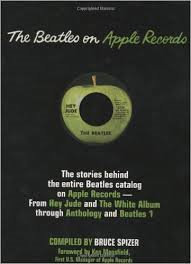 This promotion appeared shortly after Capitol released the “Reel Music” Beatles compilation album, this giveaway undoubtedly coinciding with the successful sales of this album. 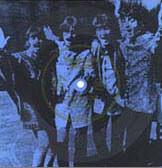 It was printed on blue vinyl with a photo from the “I Am The Walrus” film embossed on it, the appropriate record store name also appearing on the disc. This release may be quite hard to find today. 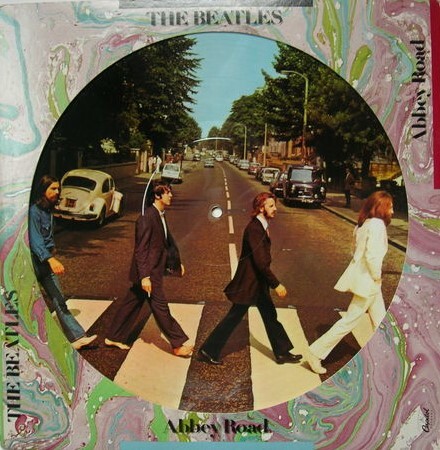 Although “Here Comes The Sun” may have been an obvious candidate for a single when the “Abbey Road” album was released due to its popularity and commercial appeal, it wasn't released as such at the time. However, Capitol did eventually release the song as a single on their Cema “For Jukeboxes Only” series in March of 1994 with the equally popular “Octopus's Garden” as the b-side. This single was printed on orange vinyl and has become quite the collector's item as time has progressed. 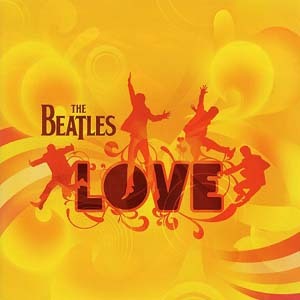 The above described new mix/mashup of “Here Comes The Sun (with 'The Inner Light' transition)” was contained on the November 20th, 2006 release “Love,” which was put together by George and Giles Martin to be used in conjunction with the Cirque du Soleil show of the same name. This successful album peaked at #4 on the Billboard album chart. Not to be forgotten are both George Harrison live albums that contain “Here Comes The Sun,” the first being “The Concert For Bangladesh,” which was released on December 20th, 1971 and reached #2 on the Billboard album chart. So respected was this triple-album that it won the Grammy for “Album Of The Year” in 1973. It first appeared on compact disc on July 30th, 1991 and then as a re-mastered release on October 24th, 2005. The second album to feature George performing “Here Comes The Sun” on stage was “Live In Japan,” which was released on July 13th, 1992. While peaking at a disappointing #126 on the Billboard album chart, reviews were very favorable. For instance, AllMusic editor Stephen Thomas Erlewine says that it “easily surpasses Paul McCartney's double-disc 'Tripping The Live Fantastic' or 'Paul Is Live.'" The Beatles may not have ever performed "Here Comes The Sun" on stage, but George Harrison has. 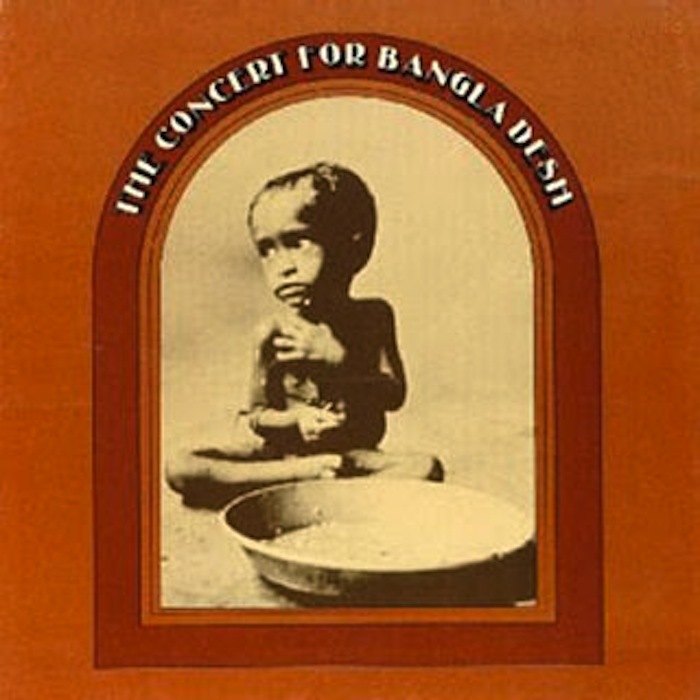 The first occasion was on August 1st, 1971 at the legendary "Concert For Bangladesh." There were two performances of this concert on this day, one at 2:30 pm and then at 8 pm. Both shows included George and Bandfinger guitarist Pete Ham doing an impressive acoustic rendition of the song. It was very well noticed by Beatles fans and reviewers alike that George Harrison put in a very impressive showing on the "Abbey Road" album. With the news the following year that The Beatles had broken up, speculations abounded as to how each band member would do as solo artists. No one doubted that both John and Paul would flourish individually since they've both proven themselves abundantly in the past seven years or so. There was concern about Ringo's music career, many imagining he would continue the acting career he had begun to immerse himself with. 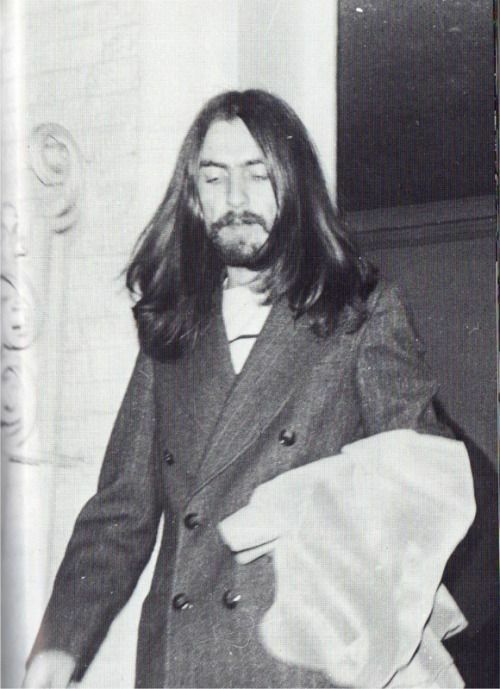 As for George, however, having recently proven himself as a heavy-hitter in the songwriting department with both “Something” and “Here Comes The Sun,” anticipation was probably the highest for what could now be expected from the “Quiet Beatle.” After all, it was felt, he had to have been overlooked and overshadowed by the “Lennon / McCartney” songwriting team for so long that he must have a huge backlog of compositions that weren't allowed on Beatles albums. This turned out to be somewhat true. 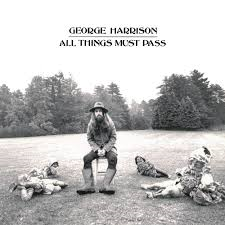 In late November of 1970, George released his first post-Beatles solo album entitled “All Things Must Pass.” And, not so surprisingly, it was a three-album box set, primarily featuring a plethora of George Harrison songs, some of which were written during the later Beatles years. Generally considered in many polls to be the best of all the former Beatles solo albums, Melody Maker magazine likened it to Greta Garbo's first talking picture by proclaiming, “Garbo talks! - Harrison is free!” Seven weeks at #1 on the U.S. 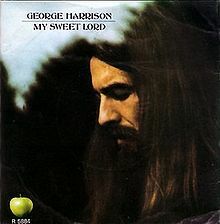 Billboard chart, along with the album's “My Sweet Lord” spending four weeks at #1 on Billboard, solidified that George had finally come into his own and thereby commanded due respect by the masses for his amazing talent. "I Want You (She's So Heavy)" PREVIOUS - NEXT "Because"